Scott Hamilton was born in 1954, in Providence, Rhode Island. During his early childhood he heard a lot of jazz through his fathers extensive record collection, and became acquainted with the jazz greats. He tried out several instruments, including drums at about the age of five, piano at six and mouth-organ. He had some clarinet lessons when he was about eight years of age, but that was the only formal music tuition he has ever had. Even at that age he was attracted to the sound of Johnny Hodges, but it was not until he was about sixteen that he started playing the saxophone seriously. From his playing mainly blues on mouth organ, his little band gradually became more of a jazz band. He moved to New York in 1976 at the age of twenty-two, and through Roy Eldridge, with whom he had played a year previously in Boston, got a six-week gig at Michaels Pub. Roy also paved the way for him to work with Anita ODay and Hank Jones. Although it was the tail-end of the of old New York scene, a lot of the greats were still playing and he got to work and learn from people like Eldridge, Illinois Jacquet, Vic Dickenson and Jo Jones. Eldridge was Scotts champion, but pulled no punches, and could be extremely critical, something for which Scott has always been grateful. In December of the same year John Bunch got Scott his first recording date, for Famous Door, and was also responsible for him joining Benny Goodman. He continued to work with Goodman at different times until the early 1980s. In 1977 he formed his own quartet, which later became a quintet, with Bunch added to the group. The same year Carl Jefferson heard him, and began recording him for his Concord record label. More than forty albums later he is still recording for them, having made many under his own leadership, several with his regular British quartet of John Pearce, Dave Green and Steve Brown, including his latest, Nocturnes & Serenades. The Quartet plus two guests, Dave Cliff and Mark Nightingale recorded Our Delight! for Alan Barnes Woodville label. A new release, Across the Tracks on Concorde is due this May. Along the way he has made albums with Dave McKenna, Jake Hanna, Woody Herman, Tony Bennett, Gerry Mulligan, Flip Phillips, Maxine Sullivan, Buddy Tate, Warren Vache, many with Rosemary Clooney and a number with another of his mentors, Ruby Braff, with whom he played residencies at the Pizza Express Jazz Club, London in the mid-1980s. Over the years Scott has also performed and recorded with such touring bands as the Concord Jazz All Stars, the Concord Super Band and George Weins Newport Jazz Festival All Stars. 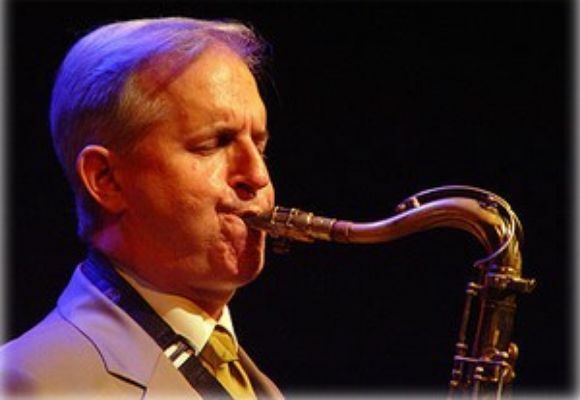 His playing has best been described by fellow tenor saxophonist and writer, Dave Gelly: Following a Scott Hamilton solo is like listening to a great conversationalist in full flow. First comes the voice, the inimitable, assured sound of his tenor saxophone, then the informal style and finally the amazing fluency and eloquent command of the jazz language. Scott was awarded the Ronnie for International Jazz Saxophonist of the Year in the 2007 inaugural Ronnie Scotts Jazz Awards. It is no wonder that Scott Hamilton is in demand the world over.